An outstanding example of creativity and flexibility in one, OnePress is a stunning One Page free WordPress theme. Best suited for landing page for any type of site, portfolio, business or even freelancers, this is a multipurpose theme that you can use for almost any type of blog or websites. 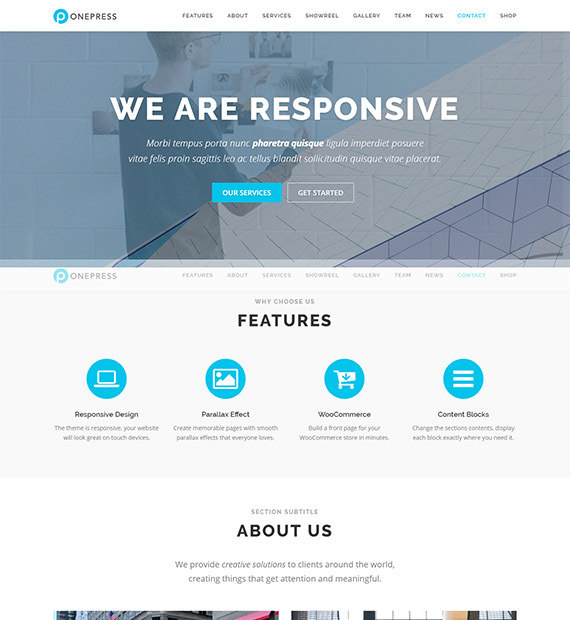 Featuring elegant, clean and modern design, OnePress is a fully responsive and retina ready theme. Easy to build on with a lot of customization option, the theme is also WooCommerce integrated.